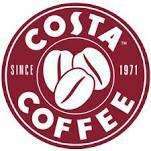 Back today only (25th) is the Costa Coffee pick a cup game for cardholders. Just got myself a free muffin (180 points) thanks op! Blueberry muffin for me too - Thank you! 285 points! Enough for a Toffee Nut Caffe Caramella. Thanks to the OP for the heads up. 215 points - coffee! yeh. 215 points, for a coffee! Free muffin 180 points thanks. It isn't an immediate credit. Check back in about 30 mins to an hour and it will be there :). Thanks for posting got 250 points. It takes a while to get aded but the last time I cashed mine in for a yummy hot chocolate . Yummy..treacle tart 195 points-will go well with the 210 points I won last time. 35 points last time, this time 250 points! Anyone know how many times or how often you can play this?! Just got 265 points - Hot chocolate. "...well technically you’ve won the equivalent number of points, but that’s even better - no? The points should be added to your card within an hour. Double-check your points total on the account page, then go and redeem them in-store when you see your points have increased!" 3. Win the 265 hot chocolate prize points. :-( only 35 points ! Got around 957 points now way to go!